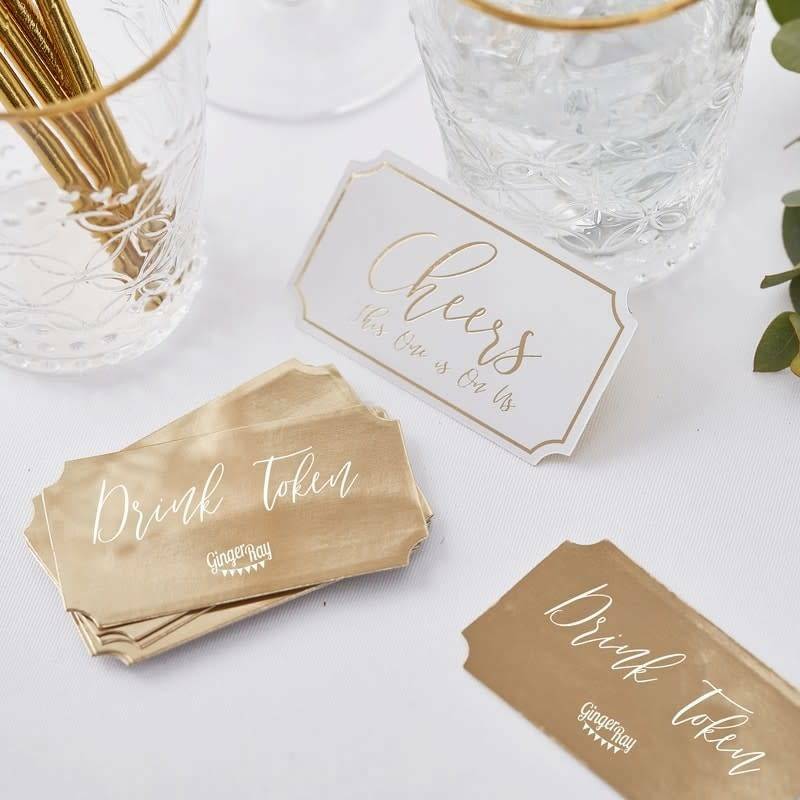 Say cheers to your guests with these fab drinks tokens! A great way to ensure everyone gets a drink at the wedding reception! These white and gold foiled drinks tokens will be a welcome treat for your guests on your big day.